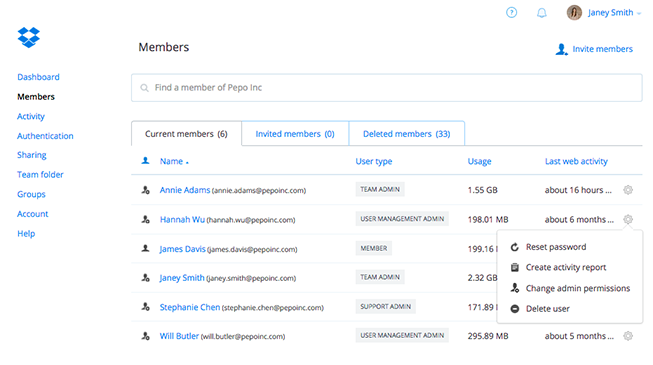 Dropbox Business tiered admins allow teams to have multiple admin roles, each with a different set of permissions. Using tiered admin roles allows teams to work more efficiently, and team admins to delegate responsibility with more granular control. Adding new members, resetting passwords, creating activity reports--with tiered admins, team admins don't need to manage day-to-day functions, and are free to focus on more high-level tasks. Team admins can set team-wide security and sharing permissions, create admins, and manage members. 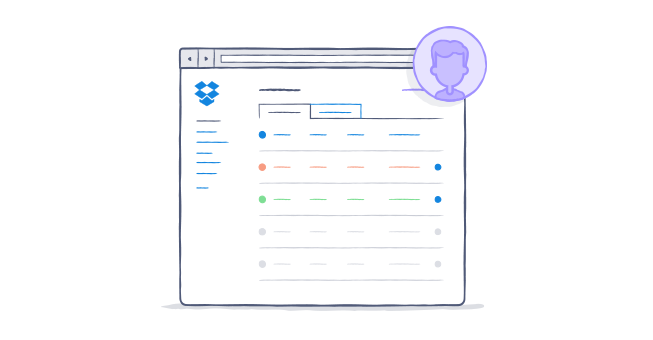 Only team admins can set other team members as admins or change admin roles, and there must always be at least one team admin on a Dropbox Business account. User management admins can address most team management tasks, including adding and removing team members, managing Groups, and viewing a team's activity feed. Any team member can be set as a user management admin. Support admins can manage passwords and basic account security, and create a team-member activity log. Support admins can also address common team requests, like restoring deleted files or helping team members locked out of two-step authentication. Any team member can be set as a support admin. You can also use this same window to see which role a team member has--simply check the User Type column for member, support admin, user management admin, or team admin. What are Dropbox Business tiered admins, and how do they work? What are the specific permissions for each tiered admin role?